Mexican comic icon Roberto Gomez Bolanos, known as Chespirito (Little Shakespeare), has died at the age of 85. The actor’s work delighted children over four decades. His characters included El Chapulin Colorado, the inspiration behind The Simpsons‘ Bumblebee Man. Roberto Gomez Bolanos, who died at home in the resort of Cancun, appeared in several movies and plays. His live shows played to packed out stadiums. His television work was exported to 90 countries, translated into dozens of languages, and still shows today. Mexican President Enrique Pena Nieto tweeted that the country had lost an “icon whose work transcended generations and borders”. 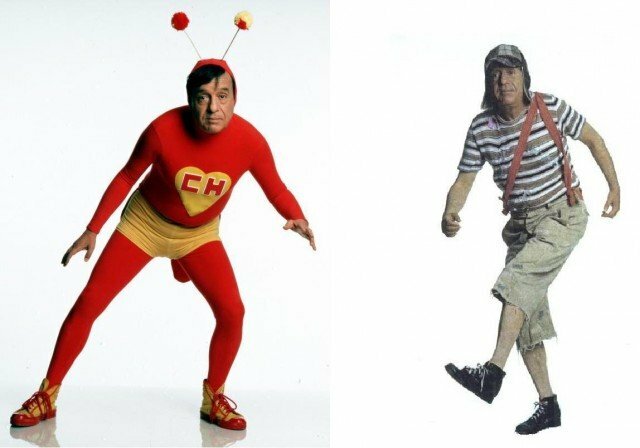 Chespirito himself had some 6.6 million Twitter followers. His nickname stemmed from his short stature. One of his biggest hits was the show El Chavo del Ocho, about a naive child who hides in a barrel. The Chapulin Colorado, or Red Grasshopper, character was a comic superhero whose red and yellow outfit and hood which bore antennae inspired The Simpsons‘ Bumblebee Man. Roberto Gomez Bolanos is survived by his second wife, Florinda Meza, six children from his first marriage and 12 grandchildren.